The BMW 6 Gran Coupe is a perfect artwork, a complete coupe car with elegance, exclusivity and agility. It offers unlimited driving pleasure in an ample and comfortable ambient. It's a perfect car for the successful businessman. What is the price to rent a BMW 6 Gran Coupe in Europe? 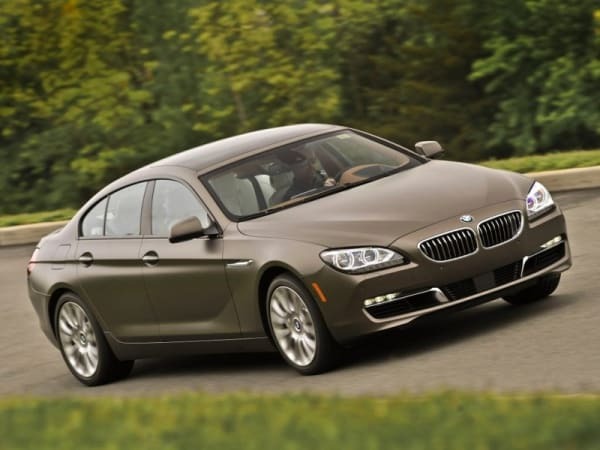 One of the main advantages of renting a BMW 6 Gran Coupe is its incredible features for its price. You will be hard-pressed to find a model as complete as it in the same price range. We have simplified the rental procedure as much as possible, lowering our prices to a minimum. It is necessary for the driver to have his valid driving license, as well as a valid credit card. The price to rent a BMW 6 Gran Coupe in Europe starts at 450 per day. However, we offer discounts and bonuses to regular customers and for long term rentals. You can reduce the costs in almost half if you rent it for periods of 2 or 3 weeks, or other long term rental periods. To enjoy your visit to this incredible city, you need to rent a luxury car. You can enjoy the convenience of booking online so you can have a BMW 6 Gran Coupe in Europe as soon as you reach the city. For insurance reasons, the minimum age for rent BMW 6 Gran Coupe is at least 21 years. A valid driver’s licence is always required to rent a BMW 6 Gran Coupe in Europe, as well as a minimum amount of 6000 € in your credit card, which is blocked on the rental period and released only after the return of the car.